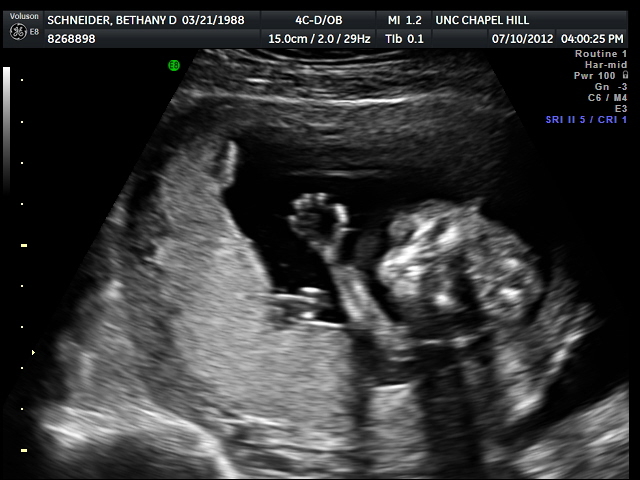 As soon as the sonographer turned on the screen this little hand appeared as if to say "hi, mom and dad!" 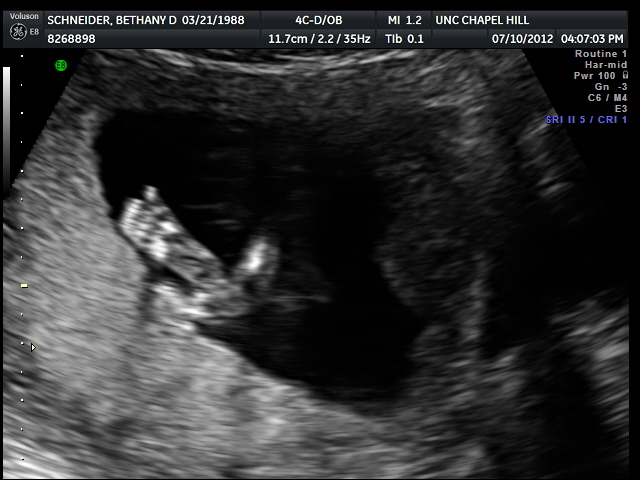 Someone already likes laying on their tummy just like Daddy. 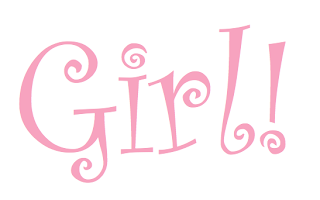 Oh, and you're wondering boy or girl? 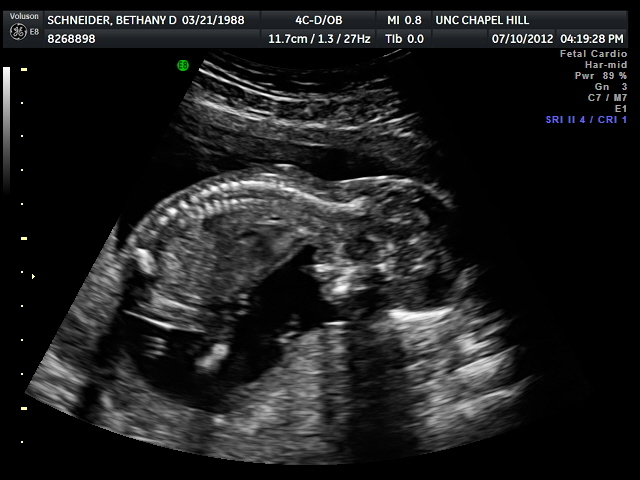 I already love you, baby girl. Keep growing strong and healthy and I don't mind if you kick me a lot. I'm just glad to have and hold you.